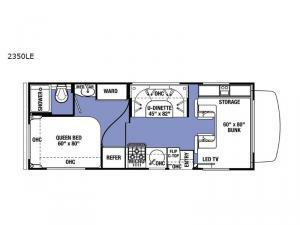 Take this Sunseeker LE Class C gas motorhome out to your next tailgate and have the amenities of home with you. When the game is over, just pack up your things, hop in, and head home! If there isn't a game this weekend, head to your favorite camping spot and set up camp. If you are camping this weekend, you will have space to sleep six, so grab a couple of your friends and enjoy the great outdoors. 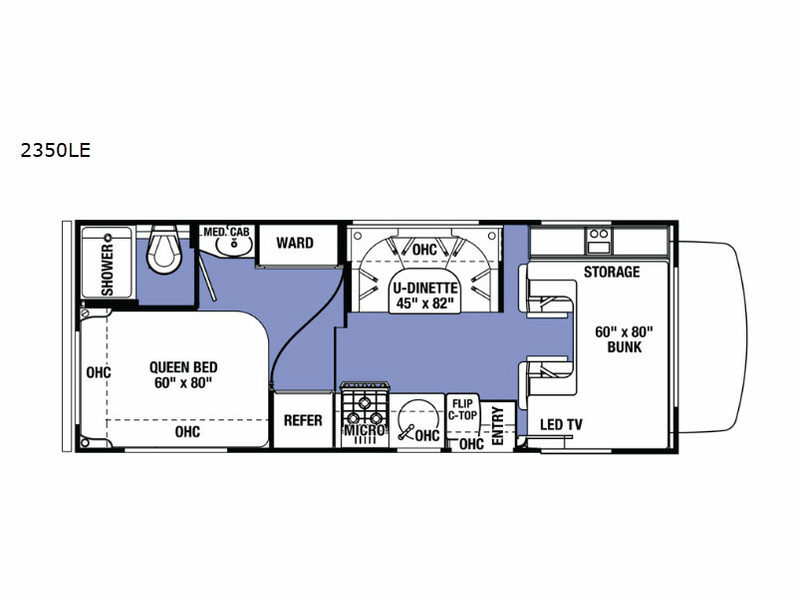 You have a queen bed in the rear next to the bath, and there is a U-shaped dinette that will fold down into a sleeping space for up to two individuals. And if you have kids, they will surely love spending their nights on the 60" x 80" bunk above the cab. The Forest River Sunseeker LE Class C gas motorhomes showcase a unique combination of style and value with their tasteful design. The exterior gel-coat fiberglass and exterior LED lights accentuate the beautiful outer portion of the Sunseeker while the block foam insulation keeps all of the warm air coming from the 30,000 BTU furnace safely inside. On top of that, all of the Sunseeker LE models by Forest River are "Certified Green" by TRA Certification.